LYNN, Mass. 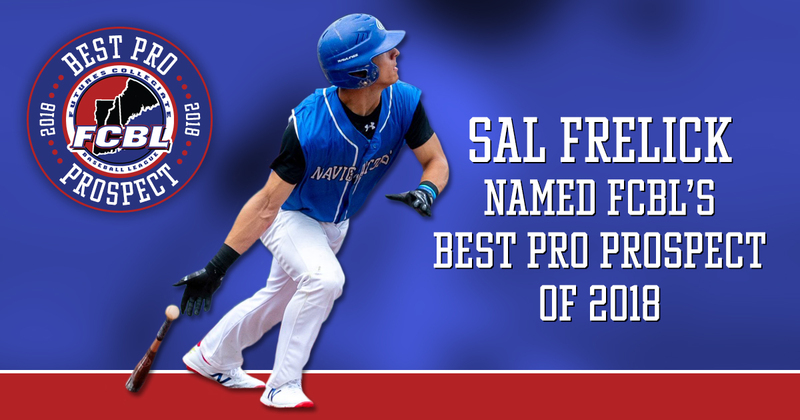 -- After putting together one of the finest offensive seasons in North Shore Navigators history, shortstop Sal Frelick was named the Futures Collegiate Baseball League’s Top Pro Prospect for 2018. The award was presented prior to Sunday’s season finale against the Nashua Silver Knights at Fraser Field. Frelick was a versatile member of the lineup as well, as he played 10 games in center field, one in left field, five at second base, three at third base, and one as the designated hitter in addition to his 14 starts at his primary shortstop position.